Read more about OMG Gross Zit – Date Nightmare on our blog! What are you going to do when the cutest boy in school asks you out, but then your body decides to have other plans – like a giant, nasty zit. Right there in the middle of your forehead is a huge, ugly zit and Ethan will be here shortly. What are you going to do? Use a variety of wild and crazy tactics to eliminate or hide your massive zit. The clock is quickly ticking as attempt after attempt fails but you cannot give up. This heart-pounding thrill ride ends with the perfect date – or the worst date ever. Play OMG Gross Zit – Date Nightmare on PC and Mac to experience some of the grossest zit-popping action available. Speak with your dermatologist. Try special creme. Wear a clever disguise. The choices are endless, but in the end, the only thing that matters is looking great for your date with the dreamy Ethan. 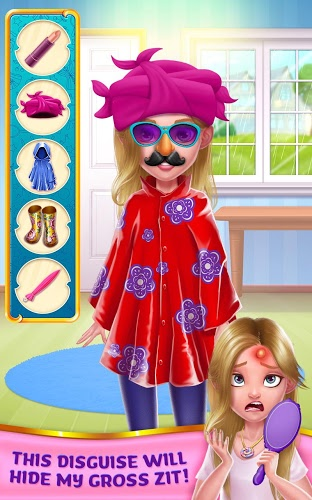 Why play OMG Gross Zit – Date Nightmare on Bluestacks? Play OMG Gross Zit – Date Nightmare. Redeem your BlueStacks Points. Get rewards! 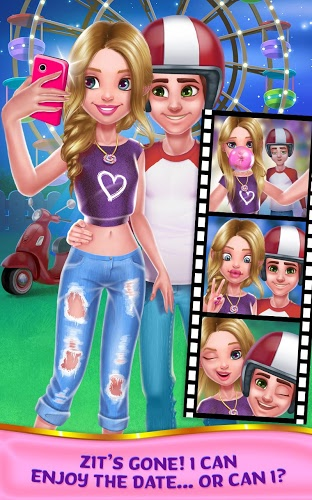 OMG Gross Zit – Date Nightmare is a game which exemplifies the thought BlueStacks put into developing keyboard controls that feel intuitive and responsive. 6 You're all done! 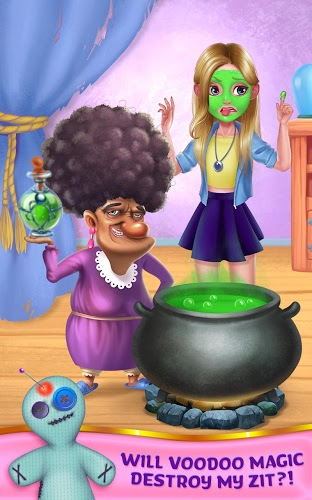 Enjoy playing OMG Gross Zit – Date Nightmare on your PC. 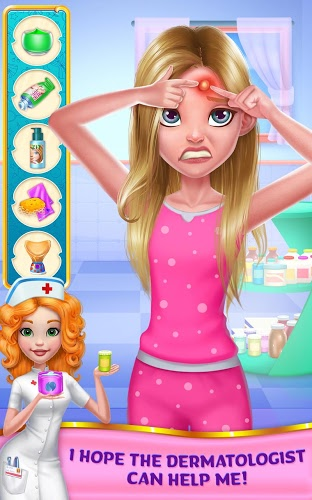 To really get into the zit-popping action, play OMG Gross Zit – Date Nightmare and the horror of the worst day ever, play OMG Gross Zit – Date Nightmare on PC and Mac with the free BlueStacks player. It's now possible to play any Android game or app right on your computer without the need for extra cables or wires. With BlueStacks, you simply start up and sign in with your free Google account. Then you can use your computer just like a mobile gaming device. Search and browse for the latest and hottest titles and store and play them right on your computer. We have to admit it… We love popping zits. Deep down, we all do. Share what we all love by broadcasting OMG Gross Zit – Date Nightmare to some of the largest social sharing networks in the world. Every day, millions of players watch live and recorded video game footage to learn new tricks, watch amazing players, or simply pass the time. You can join this new gaming revolution with the free BlueStacks 4 player with the most convenient access available. Simply click one button, and you can start streaming every wet and juicy zit pop to the world.